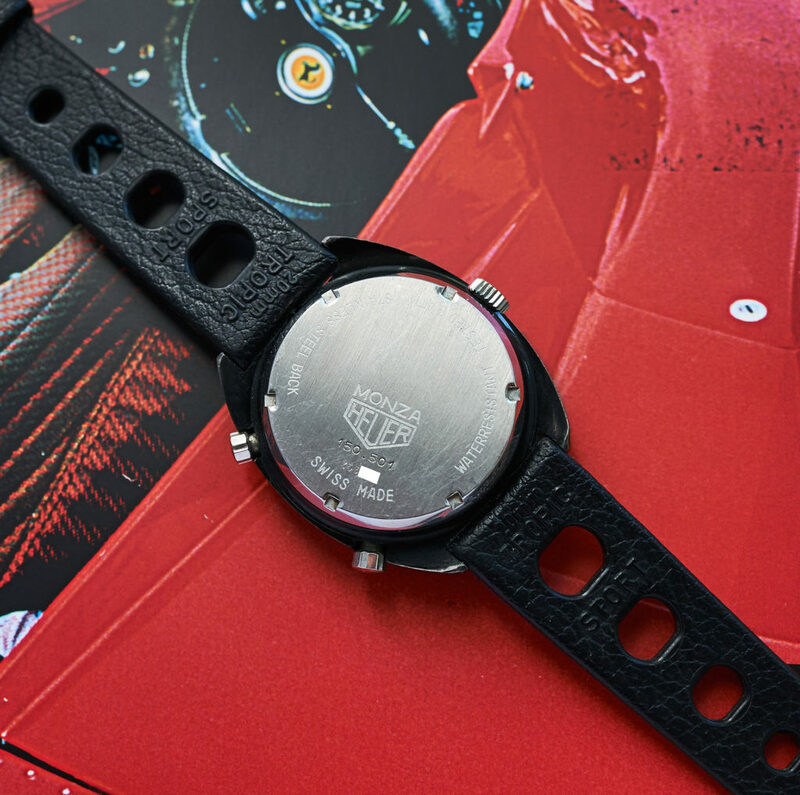 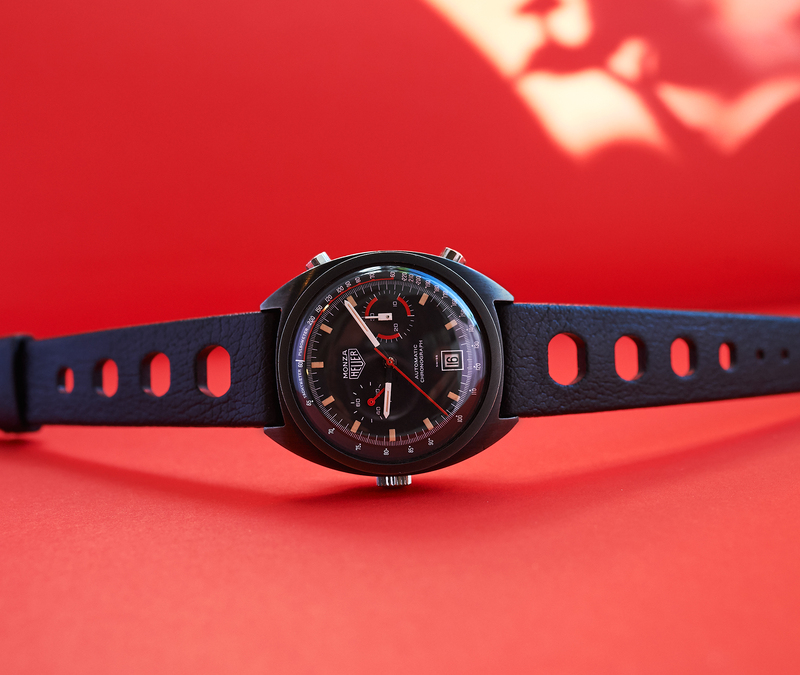 Although this rare watch was never overhyped, it is still one of the nicest Heuer´s on a wrist. 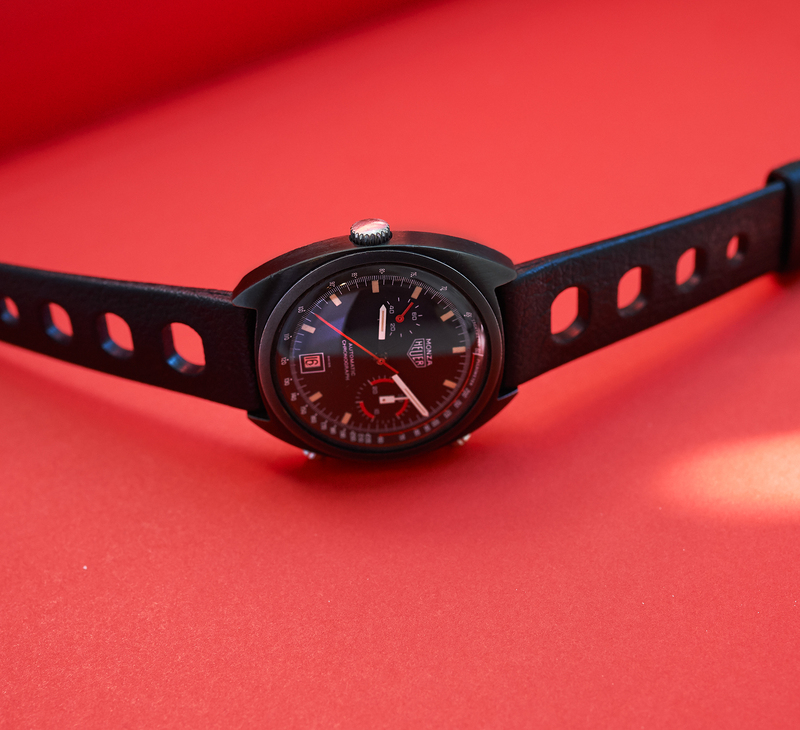 And a Monza “Niki Lauda” in really good condition is almost impossible to source nowadays. 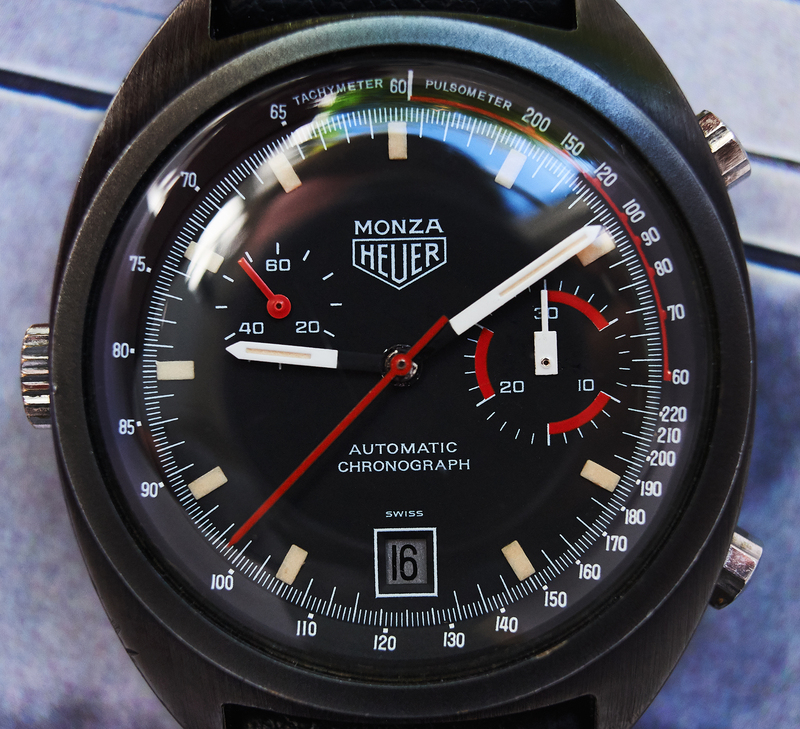 This piece here comes with a 100% perfect dial and handset and an awesomely cremecolored lumepatina . 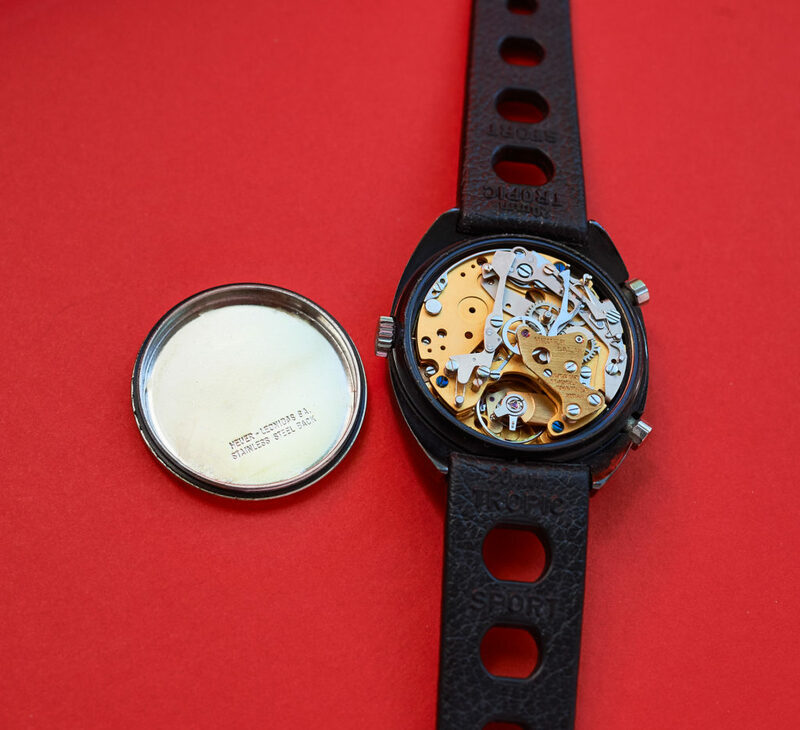 The PVD coated case with clearly readable numbers on the caseback is unpolished and in extraordinary good condition, showing an even black tone with no light spots. 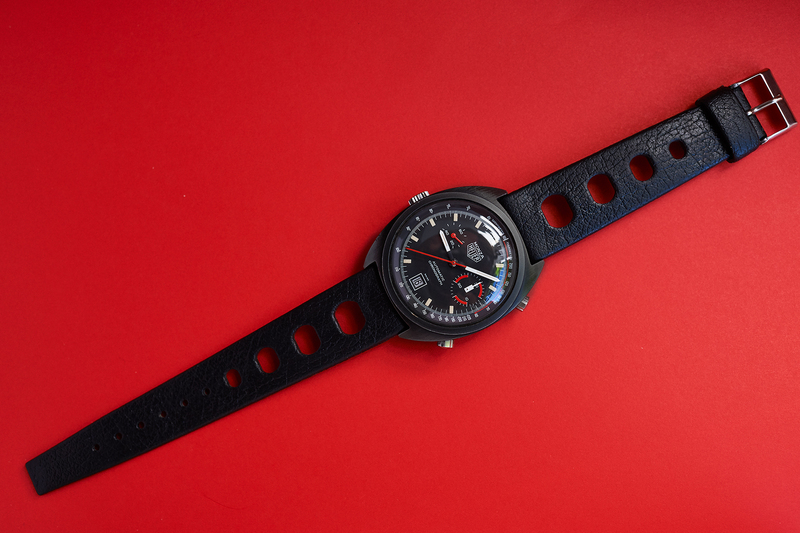 The caliber 15 is running exactly in all functions and is in allover top condition. 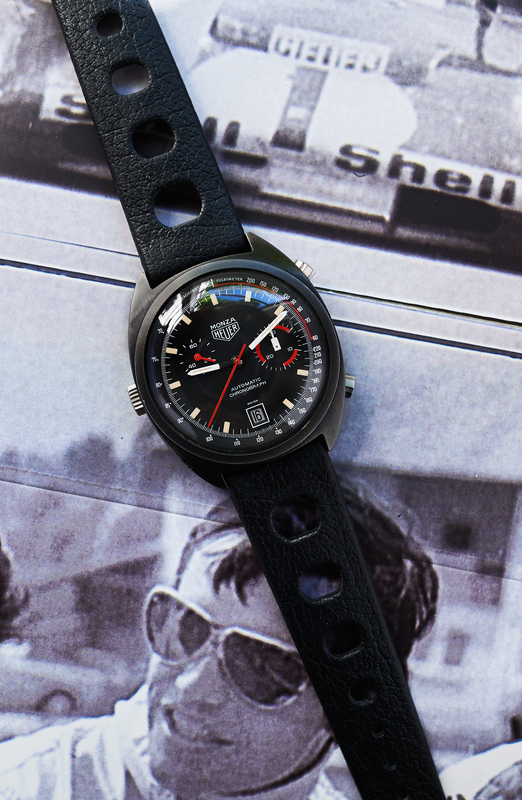 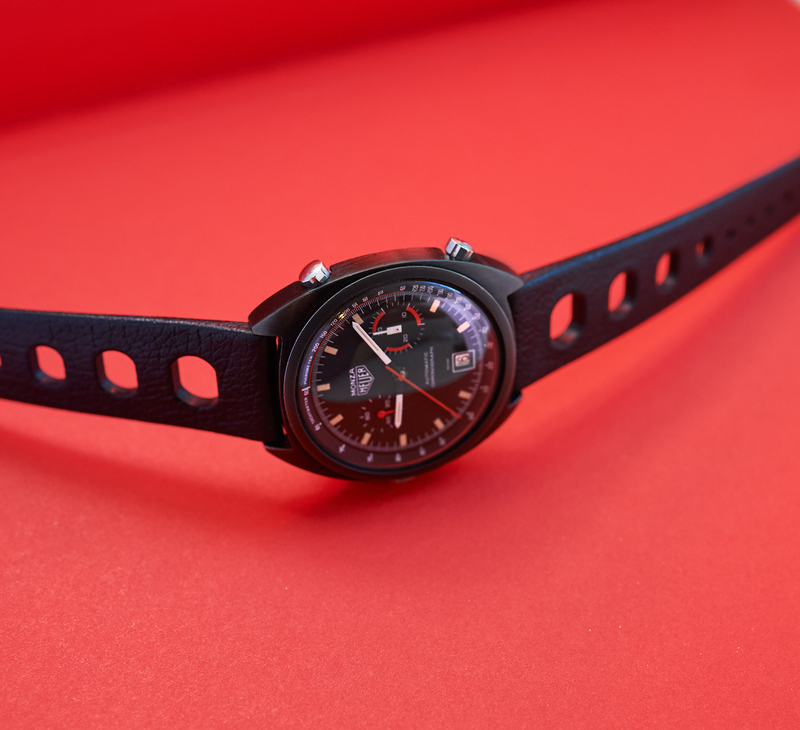 This rare 38mm Heuer comes on an authentic vintage sporttropic band.